Brief Synopsis – A man makes a deal with the Devil that will get him seven years of good luck, but can he find a way out of the deal before he loses his soul? My Take on it – This is a film based on a popular novel by Faust that was modernized in the 1920’s that has an excellent idea that works really well. The story itself is quite timeless and this version gives us the opportunity to see how such a story would work in a more modern world (Even if it’s 77 years old). The cast helps make this story so much more interesting to watch as it unfolds really well. Walter Huston and Edward Arnold are both superb here and it’s unfortunate that the final act of the story isn’t longer because it is done so well. I’m still a bit baffled how Huston got nominated for Best Actor at the Oscars for this role because it is much more of a supporting role, albeit a very imperative one to this story. 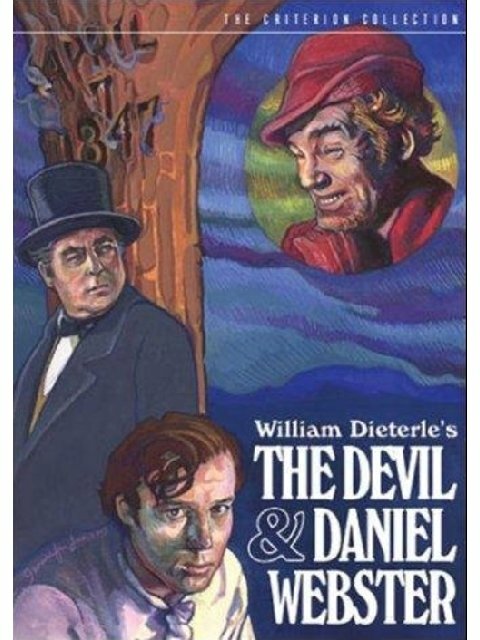 The irony of this all is that the main character is played by James Craig yet he feels much more like a supporting role even though the whole story revolves around his life and “deal” with the Devil. Would love to see a modern version of this idea and see if it can hold up to such a great telling like this one. Bottom Line – Excellent idea that works really well. The story is very timeless and allows us to get an idea of how such a story would work in a more modern world. Great cast helps make this story so interesting. Both Arnold and Huston do wonderful jobs in important supporting roles yet somehow Huston got nominated in the lead for this role. Recommended!